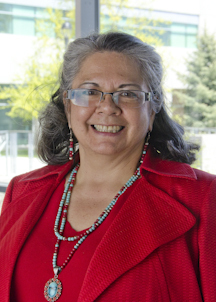 The program began in 1995 with a focus on increasing the number of Native Americans pursuing a nursing degree. The program has helped graduate 57 Native American BSN nurses, seven with Master’s of Nursing degrees, two with Doctor of Nursing Practice degrees, and more on the way. The program has expanded to include all health sciences programs. The annual Na-ha-shnee Health Sciences Institute also began in 1995 and brings Native American high school students to campus each summer and introduces them to health sciences programs and careers. In the 21 years, more than 450 Native American high school students have attended. Other Women of Achievement honorees with ties to WSU Spokane include Lisa Shaffer and Mari Clack. Shaffer, the Founder and CEO of Paw Print Genetics, sits on the WSU Spokane Advisory Board. Clack was an early supporter of medical education in Spokane. The seven Women of Achievement award winners will be recognized Oct. 7 at the Davenport Grand Hotel.